Sorcha began working for Askonas Holt in July 2016. She graduated with a B.A. in Music in Trinity College Dublin in 2014, majoring in Composition. 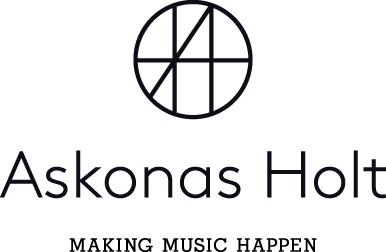 Before moving to London to join Askonas Holt, Sorcha ran the Irish Composers Collective, an organisation designed for the development of young professional composers. Keiron was born in Aldeburgh and studied Sociology at the University of Bath, where he was a Choral Scholar at Bath Abbey. His first job in music was as a teenager, working in the Box Office for Aldeburgh Music. After graduating, he worked as a Curator at the Britten-Pears Library for five years and was involved in many key Britten publications. He then worked at Glyndebourne as Assistant to the Director of Artistic Administration before joining the team at Askonas Holt in 2005. When not attending concerts or opera performances he enjoys the theatre, eating out and cooking in.